The fear of elevators can seriously ruin a person's life, especially if its the apartment or office located on upper floors. Use the stairs each time can be tiresome, especially if you have to do this more often. Also, do not forget that phobias are bad for the psyche, and then you need to get rid of them and not look for excuses not to go in the Elevator. The most important thing to do to a man, afraid to use the elevators to understand why he is displaying such negative emotions and what he fears. This will depend on the choice of methods of treatment. Sometimes people can't understand the reasons for their fear, as they lie in long-forgotten events. In this case it is better to contact an experienced psychologist who will be able to use hypnosis to search for answers. If you were stuck in an Elevator and don't want to relive the unpleasant moments related to this incident, think about what most scared you. Write down the problems you faced, and then specify the solution for each of them. For example, you can remind yourself that you have a mobile phone, and then call for help were not working. If you are afraid that the Elevator will shut off the light, keep a small flashlight or buy a phone with such a function. People who are afraid of an attack in an Elevator, one should ride either alone or in the company of 3-4 people, obviously not familiar with each other. In this case, the risk of becoming the victim of an attack is very small. Fear of elevators, and claustrophobia, often characterized by bouts of panic attacks. Learning how to deal with them, you will learn how to get rid of the fear. Use the technique of deep even breathing. When terror comes over you, smile – even if you make it purely mechanical, the brain will decode the signal, and the panic slowly begin to recede. 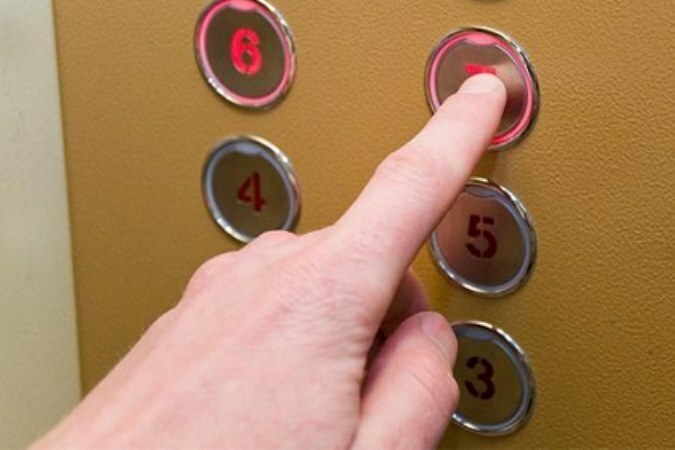 Do this every time before you ride in the Elevator. If there are friends you can talk to them is a good distraction. Another option is to call someone and get involved in a short conversation. When you feel fear, imagine your inner child and talk to him the way adults talk to kids. Think short soothing phrases that you really could tell the child. Repeat them to yourself to calm down before going to the Elevator, and you will notice that fear begins to recede.